Microneedling has taken the spotlight in recent years as a cutting-edge method to revitalize skin. Procedures involve use of a microneedling tool to impact the superficial layer of skin, activating the body’s natural healing and regeneration. The results of which are dramatic --and immediately shocking to the untrained eye. Microneedling is a minimally invasive skin-rejuvenation procedure that involves a device containing fine needles. These needles puncture skin and create minute dermal injuries. The punctures trigger the skin’s natural recovery process, producing new elastin and collagen to repair the small wounds. This results in increased skin firmness and smoothness through this powerful restorative process. Applied by a trained professional, this can be used to reduce the appearance of scars, pore size, stretch marks and other cosmetic issues. Microneedling with PRP "Vampire Facelift®"
One variety of microneedling has risen to fame in recent months: the “Vampire Facelift”, a popularized name for facial microneedling using PRP (platelet rich plasma) injections. This lift is not your traditional surgical facelift. It’s microneedling with the addition of your own body’s healing and growth factors, derived from your own blood. The PRP acts as a matrix to promote collagen growth, regenerate tissue and naturally smooth and tighten affected areas. 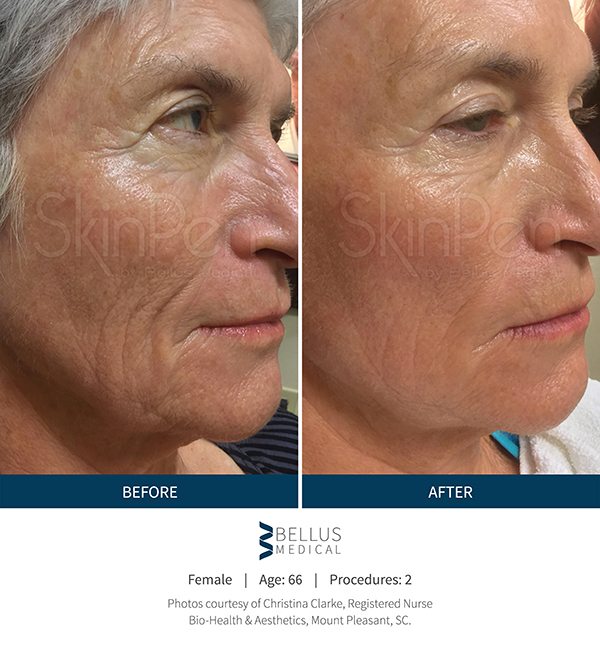 Combined with a hyaluronic filler, the lift involves injecting PRP into targeted areas of the face to add volume, reduce wrinkles, and improve the quality of skin. The results of which may be noticeable within the same day, with natural skin regeneration lasting for several months. All in one non-invasive, outpatient procedure. 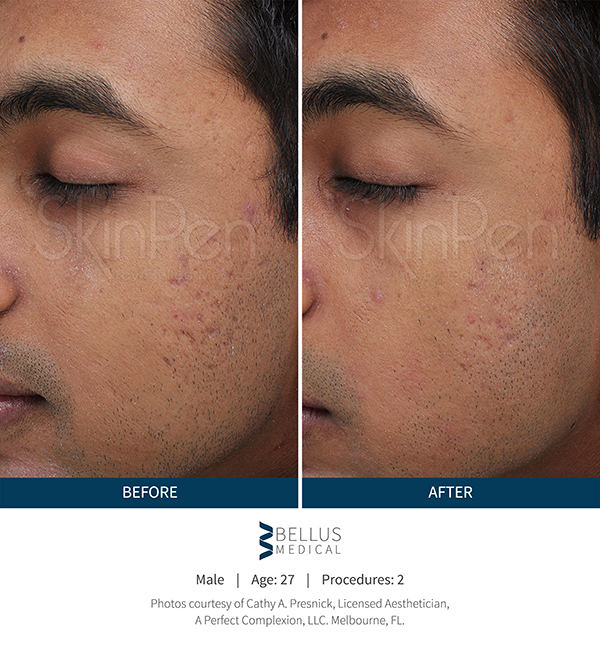 Dr. Rajagopal is proud to offer professional Microneedling with PRP treatments at our Bay Area practice. Schedule a consultation with us for more information. Our practice’s uses the latest in dermal technology. Our microneedling device, the SkinPen, is a medical grade, state-of-the-art tool designed to improve the appearance of fine lines, wrinkles and scars on the face and body. The SkinPen allows for controlled induction of the skin’s self-repair process by creating thousands of precise micro-injuries in the dermis, triggering new collagen synthesis-- without creating scar tissue. Microneedling has been safely used for variety of patient-types and skin-types. 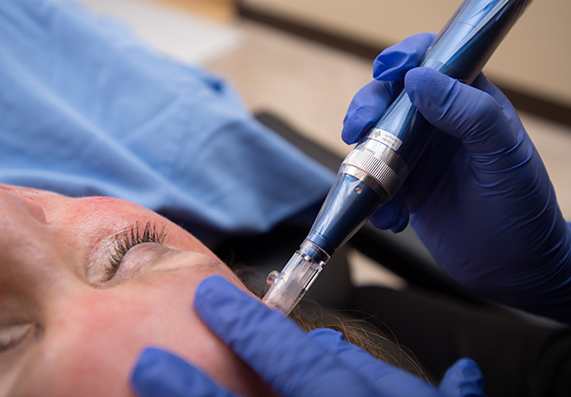 Microneedling isn't exclusively for the face. The treatment can be done on other parts of the body in need of definition or tone, such as the legs, chest, hands or buttocks. Despite the immediate appearance of skin after treatment, microneedling is not considered painful due to the small size of the needles used. Many patients experience minimal pain or a “hot” sensation in treated areas. Prior to treatment, a topical numbing cream may be applied to minimize any pain or discomfort. What is the downtime and side effects for this procedure? Microneedling is an outpatient procedure, there is no downtime after treatment. After your session there may be temporary inflammation of the skin. Skin may remain reddish and sensitive after treatment. It’s recommended to avoid direct sunlight and to use sunblock. Most skin-related issues clear up within 48 hours. 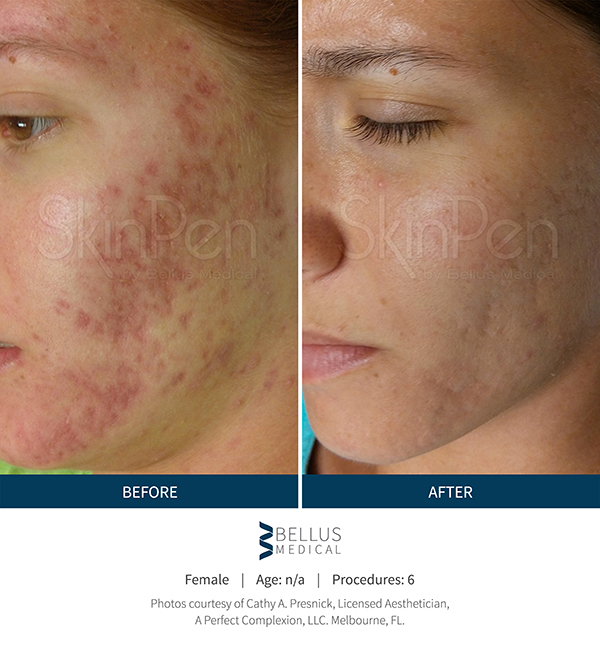 Due to the natural processes utilized in the treatment, there are no known serious side effects of microneedling. How many treatments do I need for results to appear? Results may appear after the first treatment session, while regeneration continues for several months. Microneedling can be safely repeated every 4-6 weeks as recommended by your specialist. It is suggested to do maintenance treatments at around 6 to 12 months. Am I a candidate for a microneedling procedure? Microneedling is generally safe for all ages, skin types, and skin colors. This procedure is not suitable for those who are suffering from a skin infection or have other wounds or abrasions not fully healed. Other healing conditions and medications may affect your candidacy. To determine your full candidacy for a microneedling procedure, contact our office for a evaluation and consultation with Dr. Usha Rajagopal.